The number sounds a lot bigger than it really is. In terms of years, they are flying by. However, I have a lot of time left. I want to keep competing. I want a few more championships under my belt. 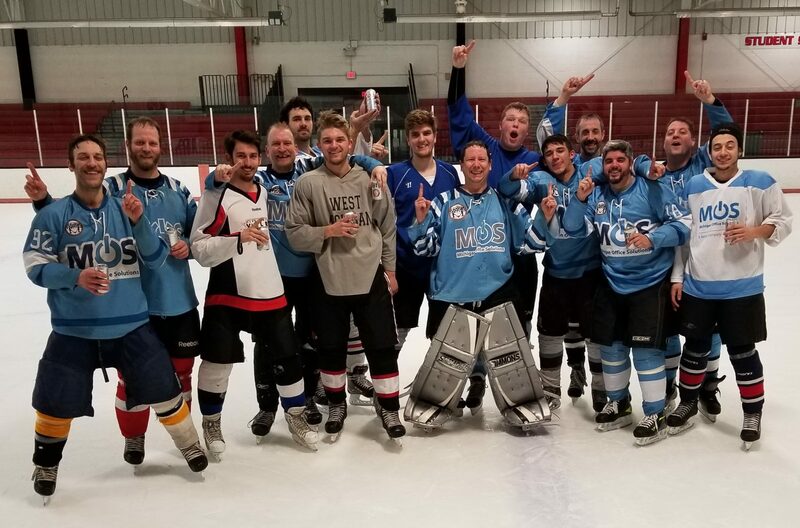 I would like to accomplish my first ice hockey championship eventually. So many personal goals I have set for myself. I recently started looking back on the last year. Obviously, my last playoff day when I took home two trophies stands out in my head as the best hockey memory. I also realize that I may not make it back to that high of an accomplishment ever again. It took me 4 years and to get on the right teams to accomplish that feat. Aside from that, I no longer consider myself to be a weak link in goal. I have proved myself, and I continue to prove myself in net. Sure, I have my bad games, but a majority of my games have been very good. I have earned the respect of my team. Now, I just need to respect myself a little bit more. I don’t give myself enough credit, and I can do that a little more often. Things I want to see happen this year is a championship for my Bulldogs team. Here is a team that picked me up and has total faith in me as a player. When I was down on myself, this team took a chance on me and want me to stay with them. We have a strong chance to make a run this session, but who knows what will happen. I would like to see us lift a trophy eventually. I will talk more about my games and such later. It is late and I need sleep. Previous PostPrevious Wheels coming off?